Here in Northern California, Autumn is often the prettiest time of year. Foggy summer days are replaced by clear skies, and when not paddling, days can be spent at apple harvest festivals, corn mazes and pumpkin patches. In addition to all of this, the selection of fresh fruits and vegetables at farmers' markets couldn't be bigger. This is our favorite season, and we're just at the beginning of it! Although "summer" is officially over, our schedule remains full for the rest of the year. It has been nice to spend some time at home though, catching up with friends, and when the ocean permits, exploring new places. Helen spent another part of the month paddling and fishing with friends in Mendocino and Humboldt counties (both in Northern California). She also ran private rolling classes during the Bay Area Sea Kayakers' Mendo Madness event, which takes place in Mendocino, California. Mark ran two introduction to sea kayaking programs, Simplifying the Roll and a combat rolling class, along with catching up with friends on and off the water in North Wales after the long summer. In October Helen will be instructing at Lumpy Waters in Oregon; Big Lagoon in California; and at the Optimist Kayaking's Symposium in Israel. Mark will be working on a number of BCU classes, including a BCU 4 Star Sea Assessment and 4 Star Sea Training, as a well as providing some regional coach development programmes for Canoe Wales. Mark will also be one of the guest coaches at the DGI’s Autumn Coach Conference in, Denmark. Later this year we have classes scheduled in the U.S. and Mexico. In December we'll be meeting up with Wes Moses and the three of us will attempt to circumnavigate Jamaica, the largest island of the Commonwealth Caribbean. To our knowledge, we will be the first people to attempt this circumnavigation. Interested in joining us for an expedition? 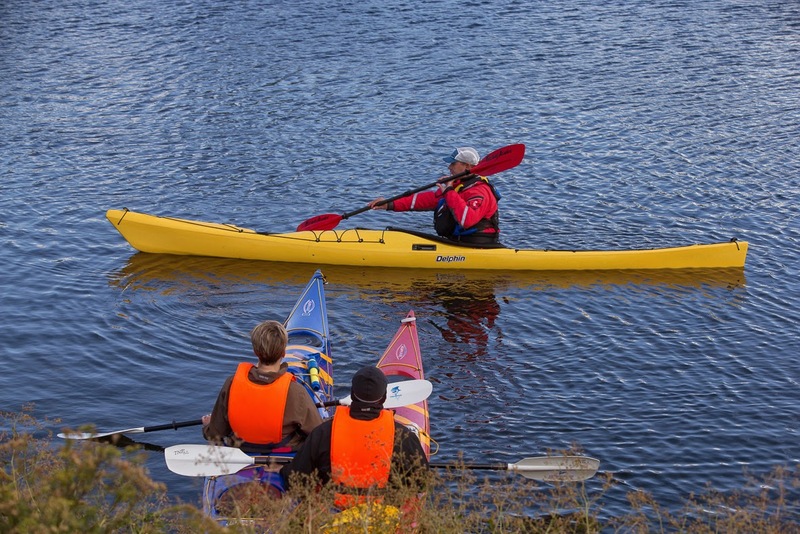 How about paddling near penguins and icebergs? Our Antarctic expedition dates are set for December 31, 2015 to January 27/28, 2016. Our next Greenland expedition is set for summer 2016. For more information on either of these expeditions, email info@greenlandorbust.org. As usual, visit www.greenlandorbust.org for more information and our current Events calendar and Blog postings. You can also find us on Facebook, Twitter and YouTube. For questions, comments or to schedule us in your neighborhood, email info@greenlandorbust.org. Happy paddling! This month we highlight some educational thinking about practice and achieving a high-level of domain specific expertise. According to K. Ander Erricsson* and his colleagues, becoming an expert within a given field of endeavour is a combination of deliberate practice that is challenging yet methodical, which in turn is supported by insightful, critical coaching. Deliberate practice is seen as being about improving the skills you already have and learning how to extend the range as well as the reach of your skills. Added to that, achieving an outstanding performance in any activity can be enhanced by being in a collaborative and supportive environment that includes like-minded individuals who can provide specific and constructive feedback. The published work of Benjamin Bloom** in 1985 reports that the superb performers he investigated had practiced intensively, had studied with devoted teachers and had been supported enthusiastically by their families. Erricsson’s research, building on Bloom’s pioneering study, reveals that the amount and quality of deliberate practice are also key factors in the level of expertise people achieve. Whichever way you look at it, being the best within a single pursuit requires a lot of time, sacrifice and hard work which, as is often the case, few people are willing to dedicate so much of their lives to. 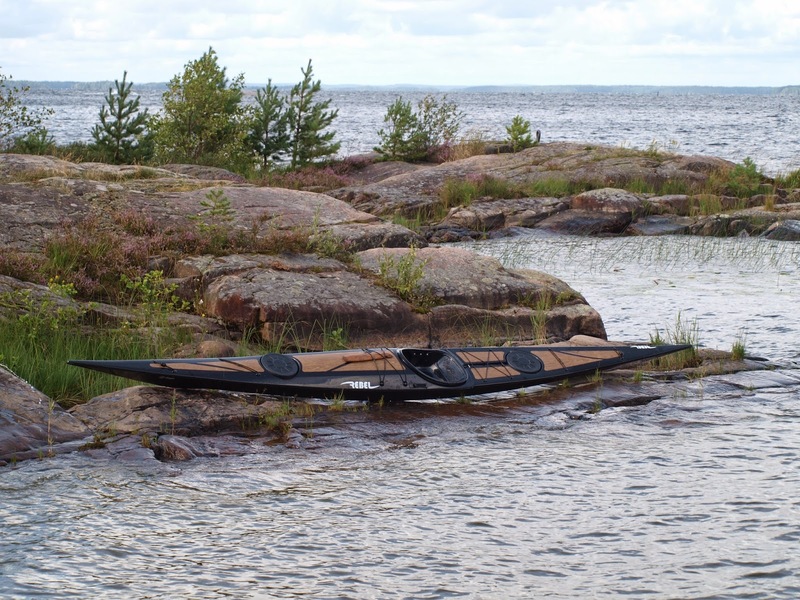 However, if you do want to be a more skillful and knowledgeable paddler then spend time with a well-informed coach who will not only guide you through a process of deliberate practice that focuses on tasks beyond your current level of competence and comfort but will also to help you learn how to coach yourself through processes of reflection, critical thinking and goal setting. *K. Anders Ericsson (ericsson@psy.fsu.edu) is the Conradi Eminent Scholar of Psychology at Florida State University, in Tallahassee. **Benjamin Bloom (1913 – 1999) was an American educational psychologist who made contributions to the classification of educational objectives and to the theory of mastery-learning. Yoga for Outdoor People can also be purchased as a download from the Digital Good Store. 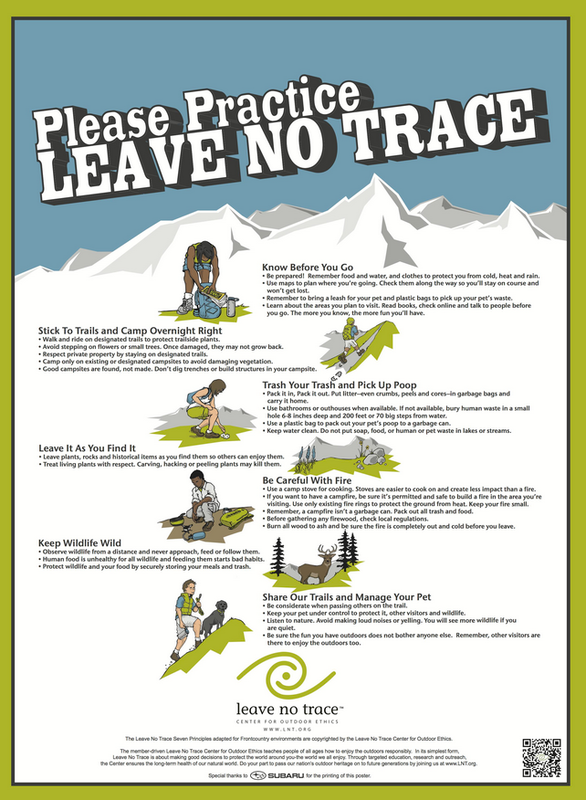 Copyright: The Leave No Trace Center for Outdoor Ethics. 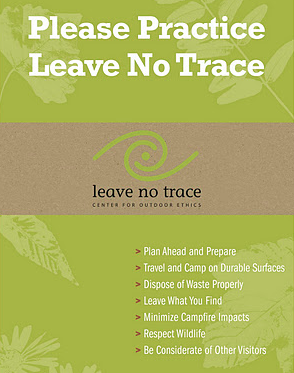 To reprint the Leave No Trace Seven Principles, include copyright language and please do not alter them without review from the Leave No Trace Center for Outdoor Ethics. The Leave No Trace Seven Principles are also available for various environments and activities. • Know the regulations and special concerns for the area you’ll visit. • Prepare for extreme weather, hazards, and emergencies. • Schedule your trip to avoid times of high use. • Visit in small groups when possible. Consider splitting larger groups into smaller groups. • Repackage food to minimize waste. • Use a map and compass to eliminate the use of marking paint, rock cairns or flagging. • Durable surfaces include established trails and campsites, rock, gravel, dry grasses or snow. • Protect riparian areas by camping at least 200 feet from lakes and streams. • Good campsites are found, not made. Altering a site is not necessary. • Concentrate use on existing trails and campsites. • Walk single file in the middle of the trail, even when wet or muddy. • Keep campsites small. Focus activity in areas where vegetation is absent. • Disperse use to prevent the creation of campsites and trails. • Avoid places where impacts are just beginning. • Pack it in, pack it out. Inspect your campsite and rest areas for trash or spilled foods. Pack out all trash, leftover food and litter. • Deposit solid human waste in catholes dug 6 to 8 inches deep, at least 200 feet from water, camp and trails. Cover and disguise the cathole when finished. • Pack out toilet paper and hygiene products. • To wash yourself or your dishes, carry water 200 feet away from streams or lakes and use small amounts of biodegradable soap. Scatter strained dishwater. • Preserve the past: examine, but do not touch cultural or historic structures and artifacts. • Leave rocks, plants and other natural objects as you find them. • Avoid introducing or transporting non-native species. • Do not build structures, furniture, or dig trenches. • Campfires can cause lasting impacts to the backcountry. Use a lightweight stove for cooking and enjoy a candle lantern for light. • Where fires are permitted, use established fire rings, fire pans, or mound fires. • Keep fires small. Only use sticks from the ground that can be broken by hand. • Burn all wood and coals to ash, put out campfires completely, then scatter cool ashes. • Observe wildlife from a distance. Do not follow or approach them. • Never feed animals. Feeding wildlife damages their health, alters natural behaviors, and exposes them to predators and other dangers. • Protect wildlife and your food by storing rations and trash securely. • Control pets at all times, or leave them at home. • Avoid wildlife during sensitive times: mating, nesting, raising young, or winter. • Respect other visitors and protect the quality of their experience. • Be courteous. Yield to other users on the trail. • Step to the downhill side of the trail when encountering pack stock. • Take breaks and camp away from trails and other visitors. • Let nature’s sounds prevail. Avoid loud voices and noises. Yoga For Outdoor People is available for purchase from the Digital Goods Store.